Congratulations to the 10 RS Aeros who took part in this year's Tiger Trophy at Rutland. The recent snow had melted but an unforecast lack of wind on Saturday meant no racing that day. Their patience was rewarded however with three good races in sunshine and a medium/fresh breeze on Sunday. With good wind and open water the faster boats were able to stretch their legs and dominated the top spots this time, whilst the RS Aeros had a good tussle within the mid fleet. Noah Rees (Torpoint Mosquito) in his RS Aero 7 edged out Chris Larr's (Northampton) RS Aero 9 on tie break to be top RS Aero in 49th place from the 127 entries. Richard Watsham (Starcross) made a welcome comeback to the fleet to finish 3rd RS Aero in his 9 rig. 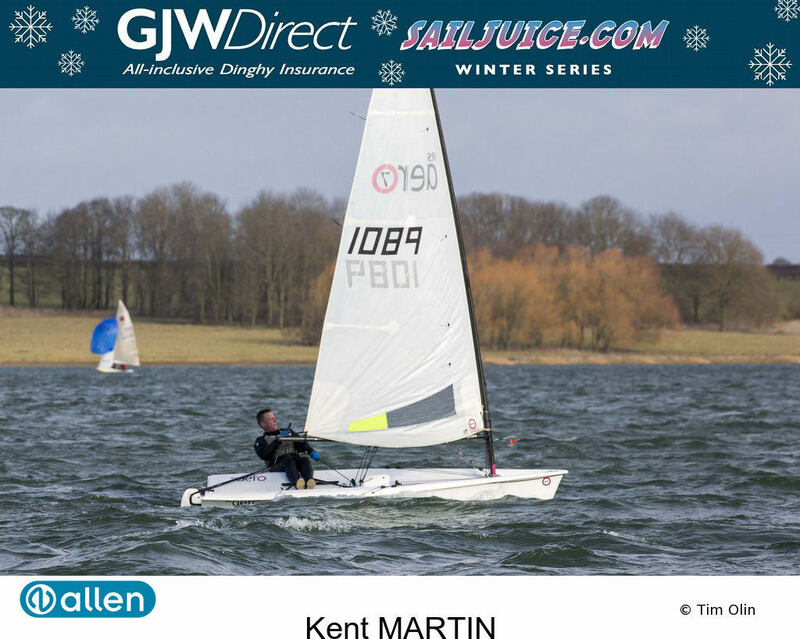 The Tiger Trophy was round 6 of this winter's SailJuice series and Chris Larr now sits in 5th overall from 372 entries! The final Sailjuice event is The Oxford Blue which incorporates our RS Aero UK Winter Championship. 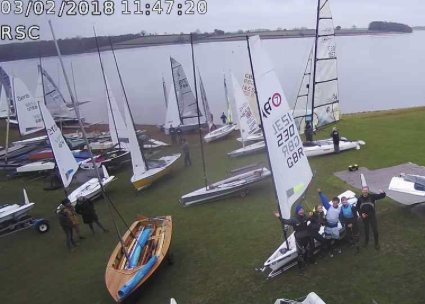 2 - Waiting for the wind gave an opportunity for the RS Aero Rooster UK Youth Team to salute the RSC webcam for those stuck at home! Starring- Noah, Caitlin, Sammy, Alice and Richard.